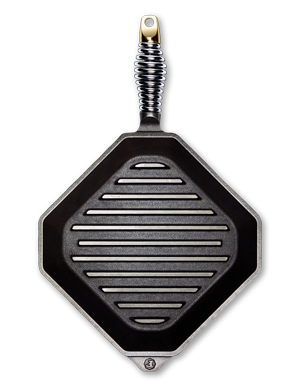 Learn More - Cast Iron Grill Pans | FINEX Cast Iron Cookware Co.
1/4” tall ribs deliver serious sear lines while creating space for excess fats and juices to drain away - ensuring that you’re grilling, not frying or boiling, your food. 3/16” wide ribs spaced ⅝” apart allow for easier cleaning and enough dry heat between the ribs to deliver true grilling flavor. 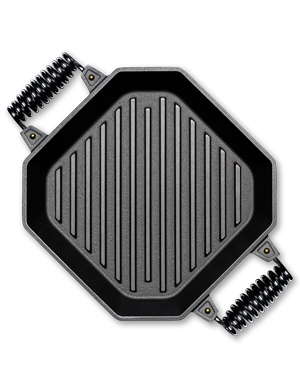 Thick cast iron bases and sides store and distribute heat, evening out hot spots and allowing for a variety of grilling styles from slow roasting to quick searing, on any heat source. Ready to cook right out of the box, each cast iron piece comes pre-seasoned with organic flaxseed oil to a non-stick, rust resistant bronze finish that will patina, darken and continue to improve as you cook. 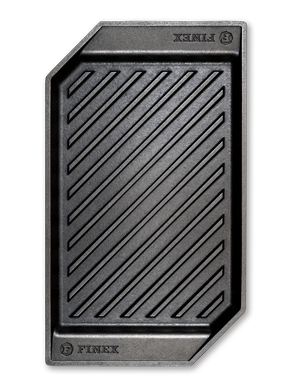 Individually CNC machined smooth ribs are smooth to the touch for near non-stick grilling and easier cleaning. 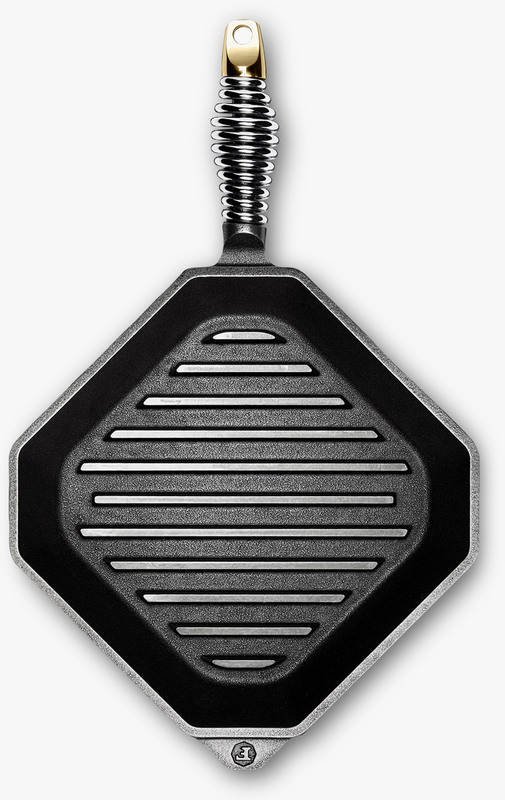 Domed interior surface drains excess fat and juices to the corners of the pan, reducing smoke and delivering FINEX true grilling flavor, without the fat. Milled and hand polished from casting brass to add eye-catching balance and allow for secure hanging, our brass end caps patina and age beautifully.